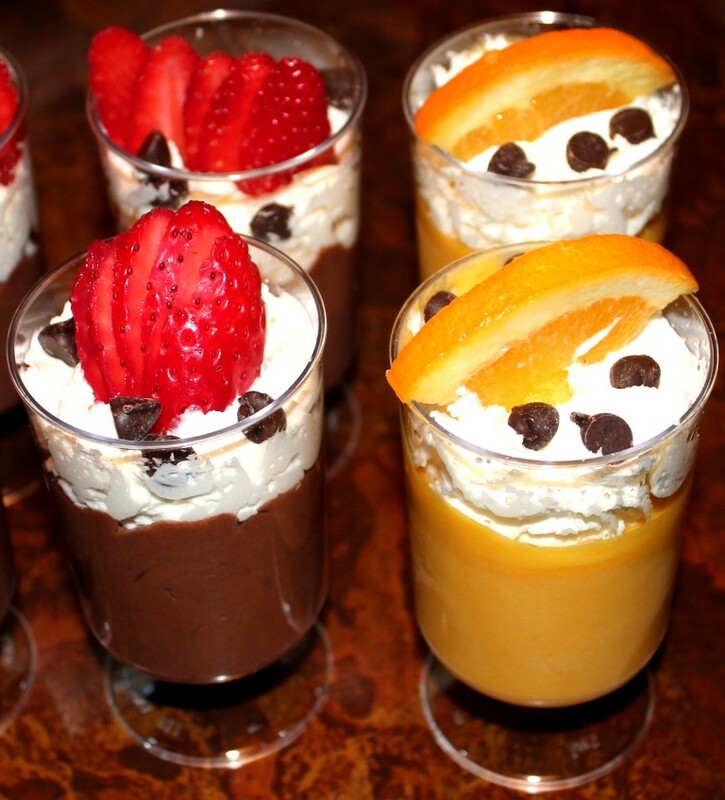 Dark Chocolate mousse and Mango mousse. 1. 2 cups of cold whipping cream — whip to peak. 2杯半的生奶油 — 打發備用. 2. 1 can (170g ) of fresh thick cream — bring it to boil in a sauce pan 1小罐鮮奶油 — 小鍋煮到起泡沸騰. 3. 300g Dark chocolate — chopped. 300克黑巧克力 — 切成小塊備用. 4. Drop 3. to 2. Mix well until all melt. Let it cool. 將3.倒入2.中融化,攪拌均勻後,冷卻. 5. Get a large bowl, pour 4. and 1. fold together, mix gently. 取一大碗,將4.和1.慢慢混合均勻. 6. Get nice clear slender dessert cups, piping the 5. mixture into the dessert cups. Set in fridge for 1-2 hours. 取透明長形的甜點小杯,用漏斗將4.漏進小杯的底部填2/3小杯的容量. 冰箱冷藏1-2小時來冷卻定型. 7. Garnish the mousse with whipping cream, sliced ripe strawberry and drop a few semi-sweet chocolate chips and enjoy! 取出冷卻定型好的慕思,噴擠一小團鮮奶油後將一顆切片好的熟草莓放上去後加進幾顆半苦甜的巧克力碎片就可以享用! 1. 3 1/2 cups of cold whipping cream — whip to peak. 3杯半的生奶油 — 打發備用. 2. 1 can (850 g) of mango pulp — open the can 1大罐芒果泥 — 開好罐備用. 3. 1/2 cup of icing sugar 半杯糖粉量好備用. 4. Pour 2. and 3. into the 1. in the mixing bowl. Fold gently but mix well. 倒2.和3. 到1.打發的大碗裡慢慢混合均勻. 5. Get nice clear slender dessert cups, use funnel to carefully pour drip 4. into the dessert cups. Set in fridge for 1-2 hours. 取透明長形的甜點小杯,用漏斗將4.漏進小杯的底部填2/3小杯的容量. 冰箱冷藏1-2小時來冷卻定型. 6. Garnish the mousse with whipping cream, 1/4 sliced ripe Sunkist orange and drop a few semi-sweet chocolate chips and enjoy! 取出冷卻定型好的慕思,噴擠一小團鮮奶油後將一顆切片好的香吉士柳橙小片放上去後加進幾顆半苦甜的巧克力碎片就可以享用! 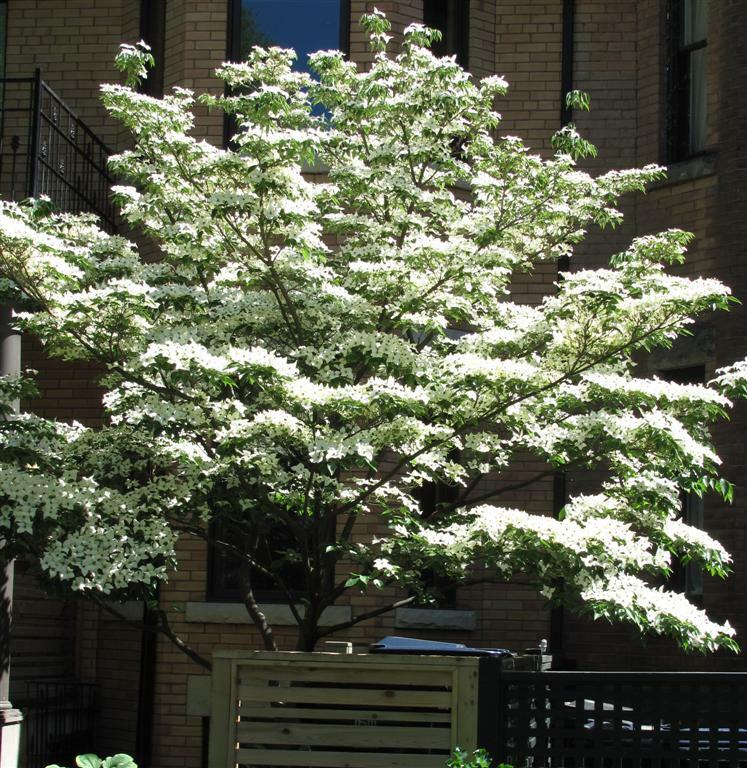 Flowering Dogwood (Cornus kousa) flowers in early summer. 四照花初夏的花開滿枝椏. Flowering Dogwood (Cornus kousa) red ripe fruit in late summer to early fall. 四照花夏末秋初的紅色成熟果實. Fall colour of the 3rd year seedling. 實生苗第3年的紫紅秋色. Flowering Dogwood (Cornus kousa) seeds. First set of leaves. (Cornus kousa) 第一對本葉長出. Second set of leaves. 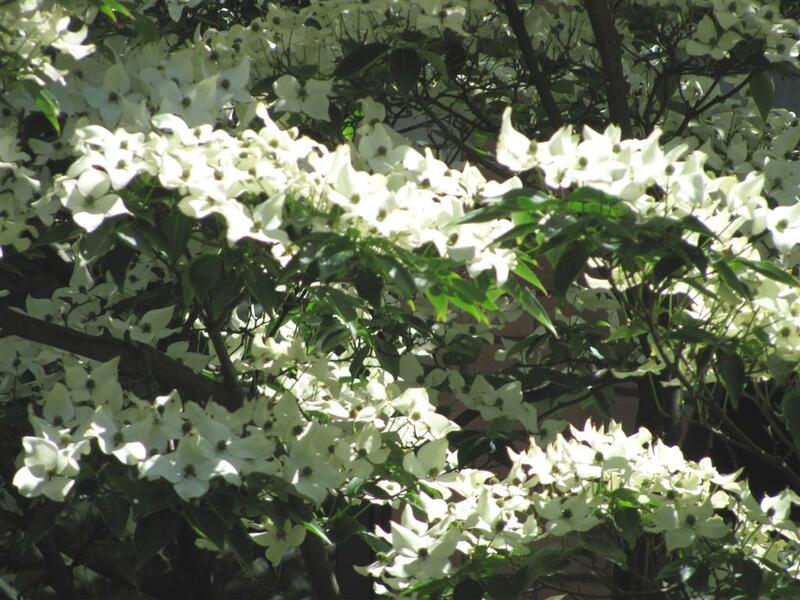 (Cornus kousa) 第2對本葉長出. This beautiful small flowering tree or large shrub is very beautiful and easy to grow in full sun to partial shade location. 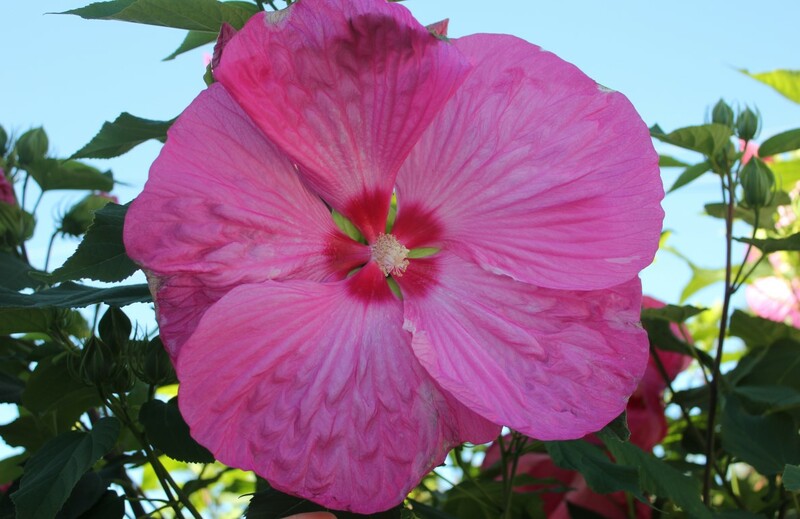 Late spring pink flowered varieties usually bloom first then white flowered varieties. The four large “petals" are not really flower petals, they are actually bracts. The pom-pom like center are many tiny flowers. 我喜歡白色的這種,因為它晚開,當春花都開盡了它才登場,感覺就是春天因此而延續了! 1.Its fruit ripe in mid-late fall so you have to collect the fruit, remove the fruit pulp and clean seeds. Dry seeds, put the seeds in a re-sealable bag and then store in freezer for 1-1.5 months to simulate winter. 2.Wake up the seeds by bath seeds in warm water for 2 days. You can use thermal bottle to do this if you have large quantities of seeds to grow. 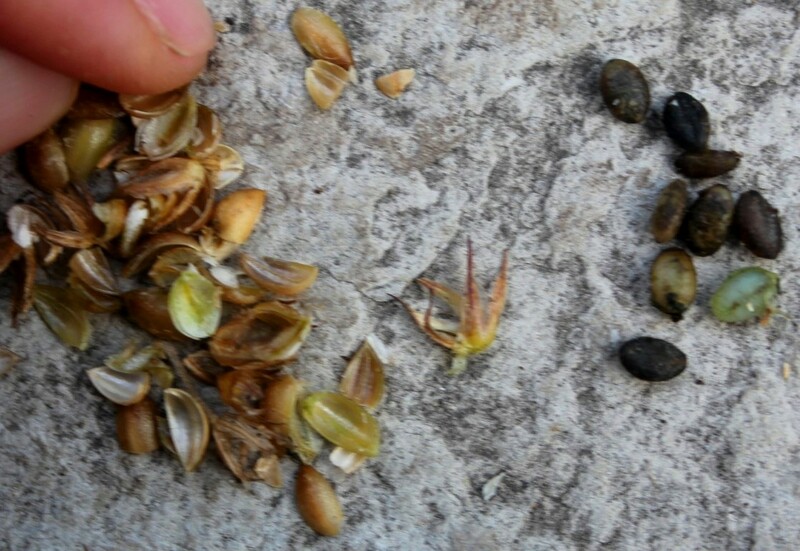 Seeds have quite thick hard shell so it is OK.
3.Scoop the seeds and plant in a pot or container. Use moist potting soil or well drained growing medium. I covered the container to keep seeds moist and place in warm place. 4.Check seeds once every 2 or 3 days. 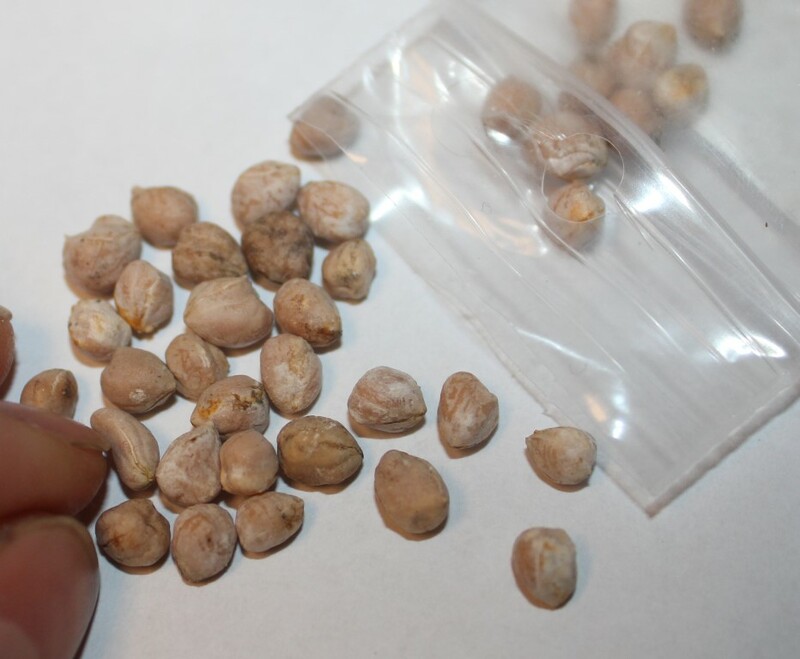 Seeds usually germinate around 30-45 days according to the temperature. 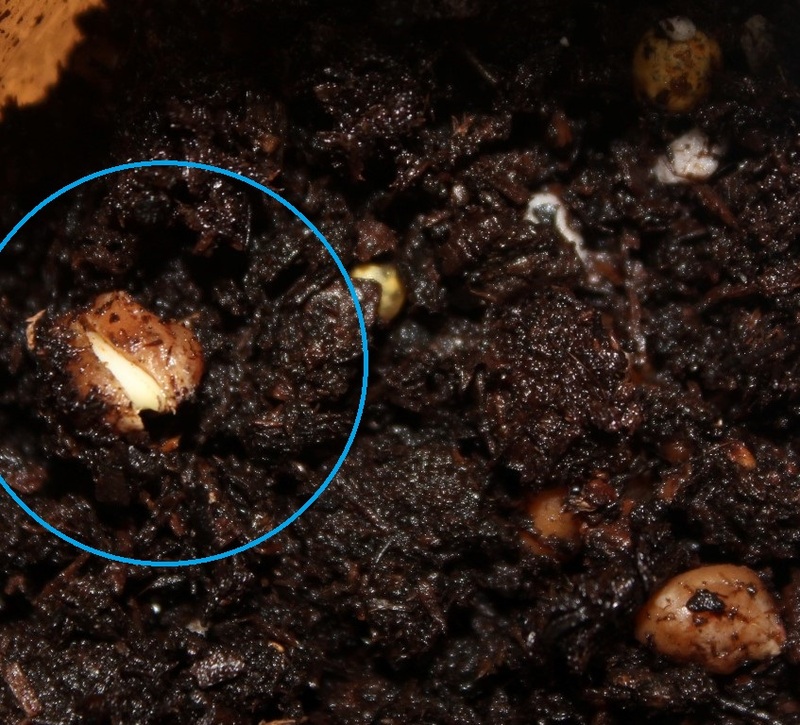 5.Pick up the germinated seed and plant in the individual small pot. Place them in warm, partial shade location. Keep moist. Language of flower – Am I Indifferent to You? Lily-of-the-valley (Convallaria majalis) extremely fragrant white flowers in spring. 春天鈴蘭的白色有強香的鈴狀小花. Lily-of-the-valley bulbs and rhizomes. (Convallaria majalis)鈴蘭的地下葉芽與根狀莖. Ripe fruit of lily-of-the valley in fall. 秋天成熟的鈴蘭漿果. Lily-of-the-valley seeds (Convallaria majalis) 鈴蘭種子. Lily-of-the-valley seedlings forming the first shoot/bulb. (Convallaria majalis)鈴蘭小苗出根後長出第一個小筍芽. Lily-of-the-valley seedlings forming the first shoot/bulb. Shoot is turning green. (Convallaria majalis)鈴蘭小苗出根後長出第一個小筍芽. 筍芽轉綠了. 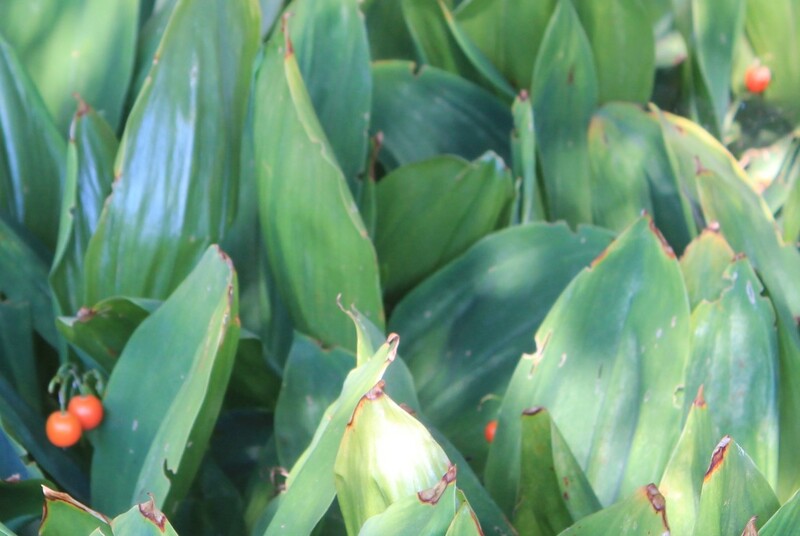 This plant usually can be propagated by dividing plant clumps, rhizomes, bulbs or seeds. Best time to do so is in late fall/winter and the second best time is early spring. If growing from seeds, seeds need a cold period time in fridge at least a month to simulate winter. 1.In a re-sealable bag fill with some moist potting soil or water moss and current year harvest viable seeds. Moist has to be when squeeze the soil or water moss, water will drip out slowly. Seal the bag and put the bag in the fridge where you store veggies and fruit for one month. 2.After one month, take the bag out, remove the bag and plant seeds in a pot with light soil cover on top. Place the pot in partial shade or dapple shade location. Any well drained soil or growing medium will do for planting. Keep soil moist until seeds germinated, around 1 months. I tried germinating seeds directly it is around 1 month. 2.時間到後取出播於盆土,種子不喜光可蓋淺淺的土就好. 種植處須半日照或散光處. 土壤不拘但必須排水良好+保濕良好. 繼續保濕到發芽長葉為止,約孵1個月會出芽. 我試過不冰直接苗盆播,約1個月出芽. 3.After germination, keep the pot in partial shade, keep seedlings moist is the key. 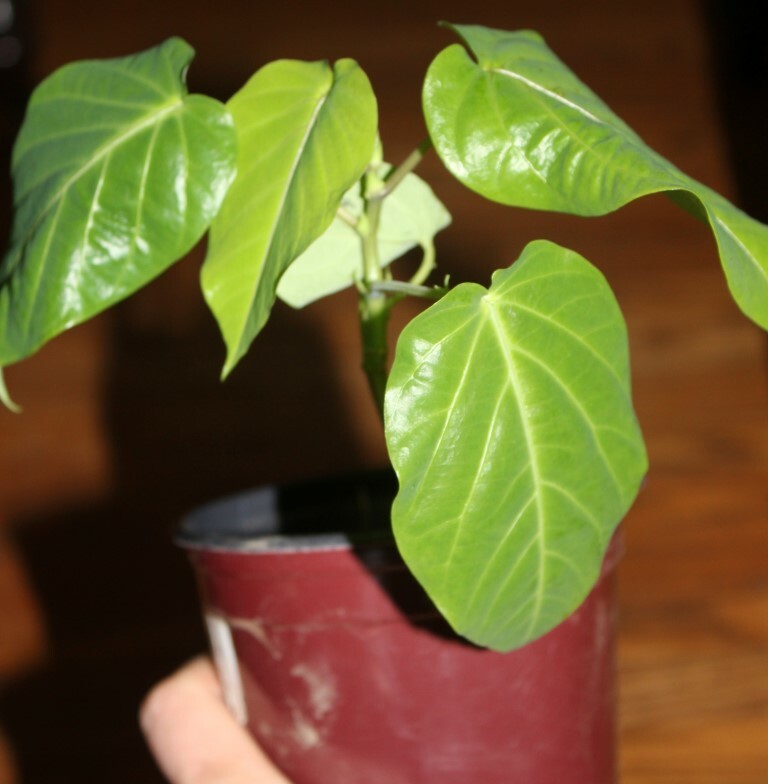 When seedlings has rhizome — you will see another leaf popping out, It is time you can transplant the seedlings to the ground or a bigger pot. It will take about 3 years to grow from seeds to flower. (Seedlings will age faster if growing in less fertile soil.) 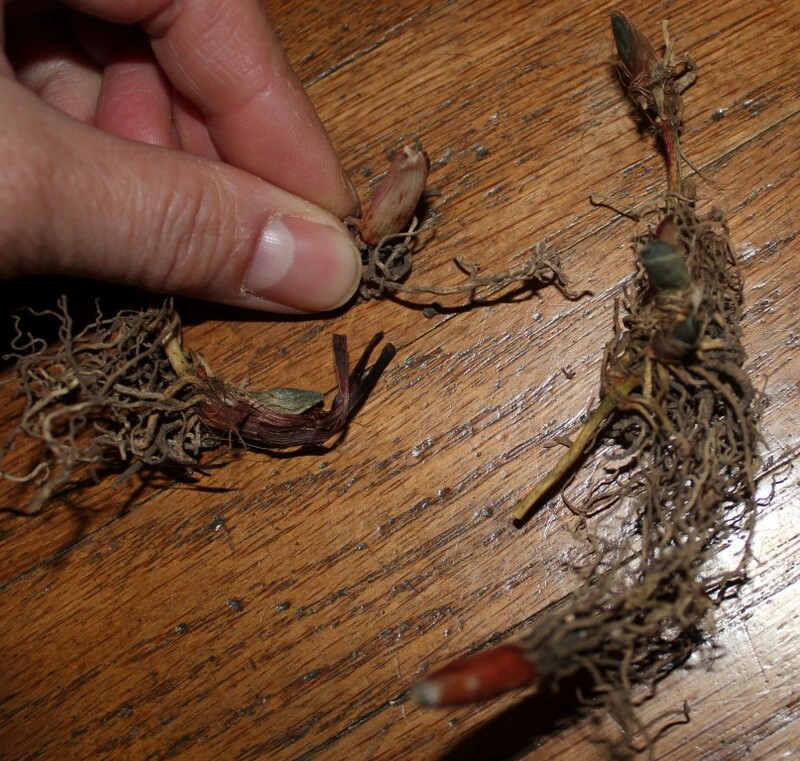 Apply fertilizer with higher ratio phosphate to grow strong root system and bigger bulbs. 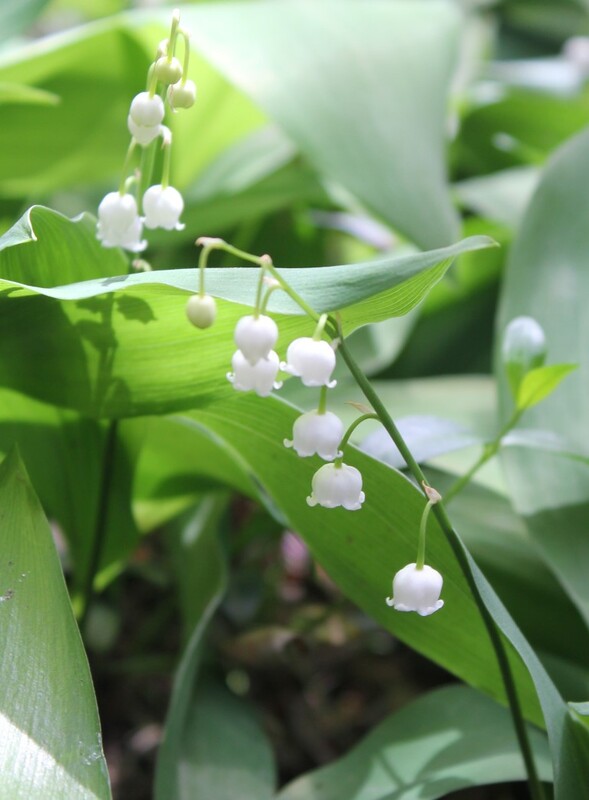 Its white dainty cute bell shape flowers are extremely fragrant and pleasant! Too bad the blooming time is short, only 2-3 weeks in spring. In fall, the fruit ripe and turn orange red. 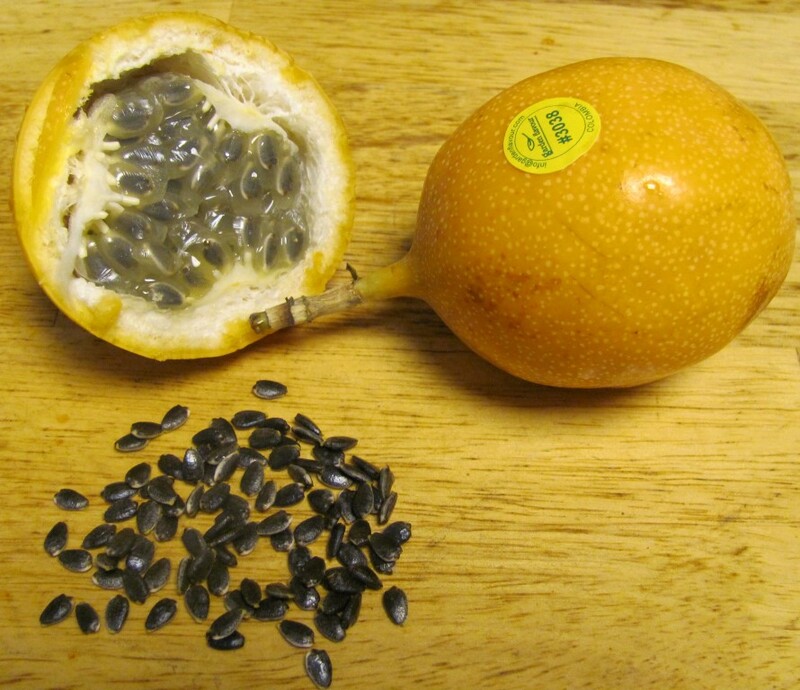 There are off white or yellow seeds inside its berry like fruit. 3.出芽後讓小苗們在半日照處生長. 保溼很重要. 等很快會開始長出走莖(長出另一枝),即可換盆或地植. 從種子到開花約3年. (用不肥沃的田土種比培養土好.) 葉片過於肥大的話要施些磷肥. 我認為球不冰也可以,只要將盆放置在半日照陰涼處. 注意保濕不要乾死. 鈴蘭花形可愛小巧,香氣濃郁怡人很特別,春天很短的兩三週是花期. 秋天結橘紅色漿果. 漿果中有米白色或黃色種子. Whole plant is toxic if eaten. The flower language of lily-of-the-valley: Return to happiness. 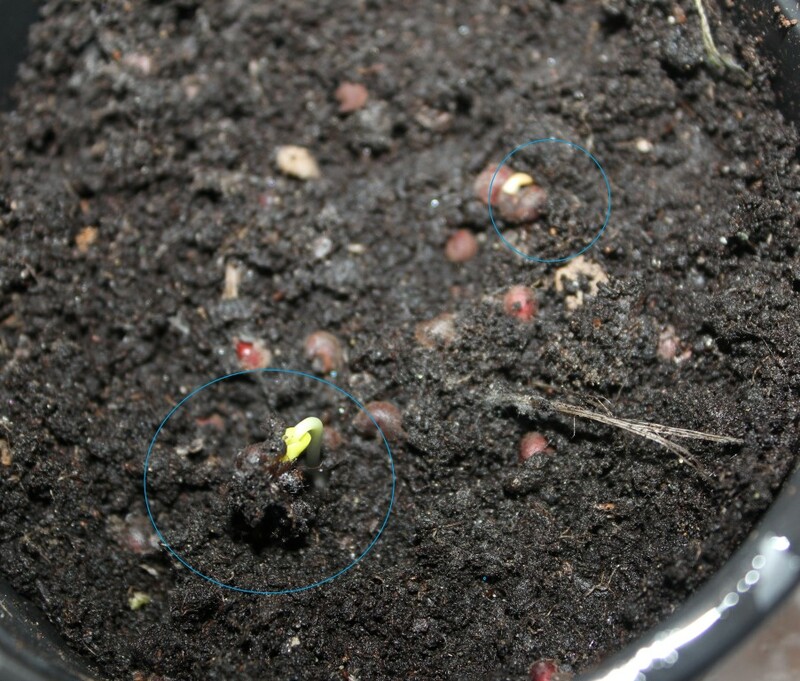 Passion fruit seeds germination.– Day 15. (Passiflora edulis) 第10-15天普通百香果的種子陸續發芽.–第15天進度. Passion fruit seeds germination. (Passiflora edulis) 百香果小苗. Passion fruit first year seedling almost year 2. (Passiflora ligularis) 甜百香果實生苗第一年快第2年. This plant is really easy to grow! And these grow fast! 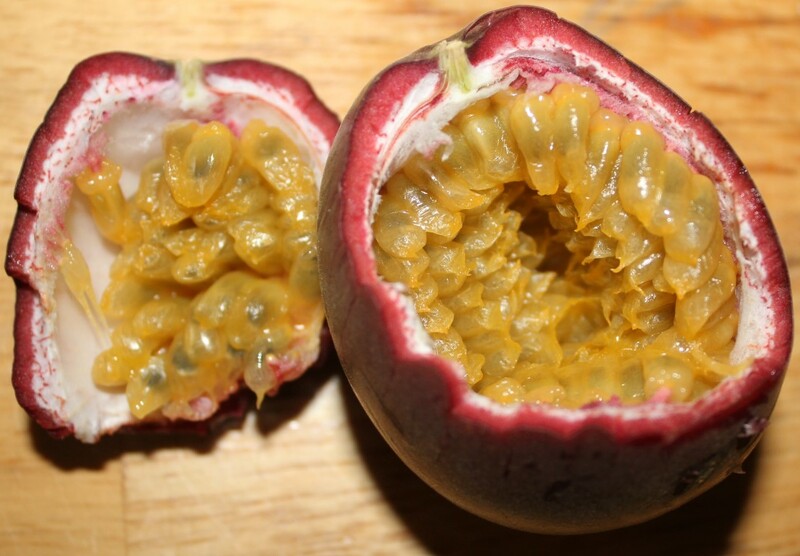 One fruit contains so many seeds. You can just save the seeds from the fruit you enjoyed for growing more! The key of growing this fruit is warm and sunny. If you are like me, growing them in winter you can find or create a suitable place for them. I grow them in a container with lid to keep seeds moist and place container nearby the furnace register for warm air. 百香果是很容易栽種且生長快速的藤蔓. 一個果實內有為數不少的種子. 享用果實時如果好吃,你可以留些種子種植! 通常百香果多喜歡全日照溫暖的環境,水份肥份要充足還有支撐的攀架/繩索. 我孵種子是用有蓋的容器放在溫暖的地方濕悶,大概1-2週就會發芽. Passiflora ligularis (Grenadilla / Sweet Grenadilla) is the specie likes cooler temperature. And it will take 3 years to mature to flower and fruit. Passiflora edulis likes warmer climate and will take a year to mature. So better to start early or buying grafted plants from nurseries. 甜百香果這個種類喜較冷涼的地區,日夜溫差較明顯會使果實甜度較高些. 不過從種子到開花能結果約需時3年. 普通百香果則喜溫暖的氣候,從種子到開花結果約要一年才會成熟到開花結果. 沒耐心等的人可以考慮買現成嫁接好的成熟苗來種植. 1.Prepare a clean container with lid, fill the container with half depth of potting soil. Moist the soil but no standing water. Place the clean seeds on top then keep the lid on. Place the lid somewhere warm. 2.Open the lid to check the progress and for fresh air to circulate once a day. 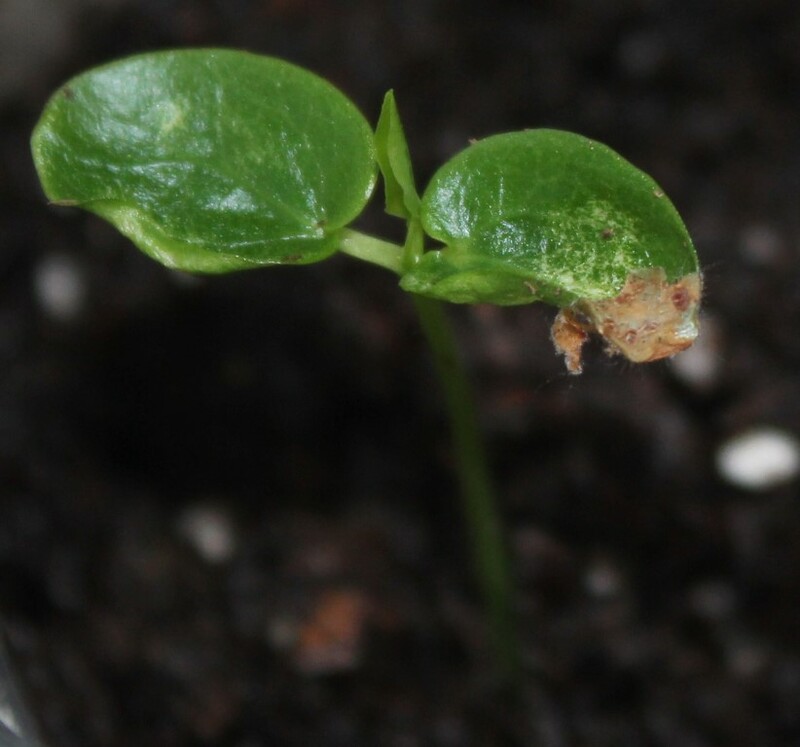 If the mold occurs, pick up the seeds, wash and sanitize them and plant them back. If weather is warm, you can just open the lid under the sun for 30 minutes will do the same. 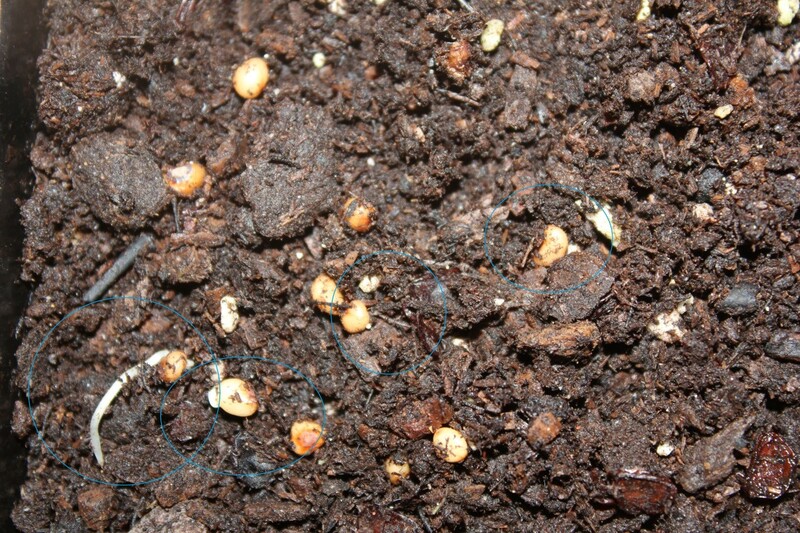 Seeds will germinate around day 10 to day 15. 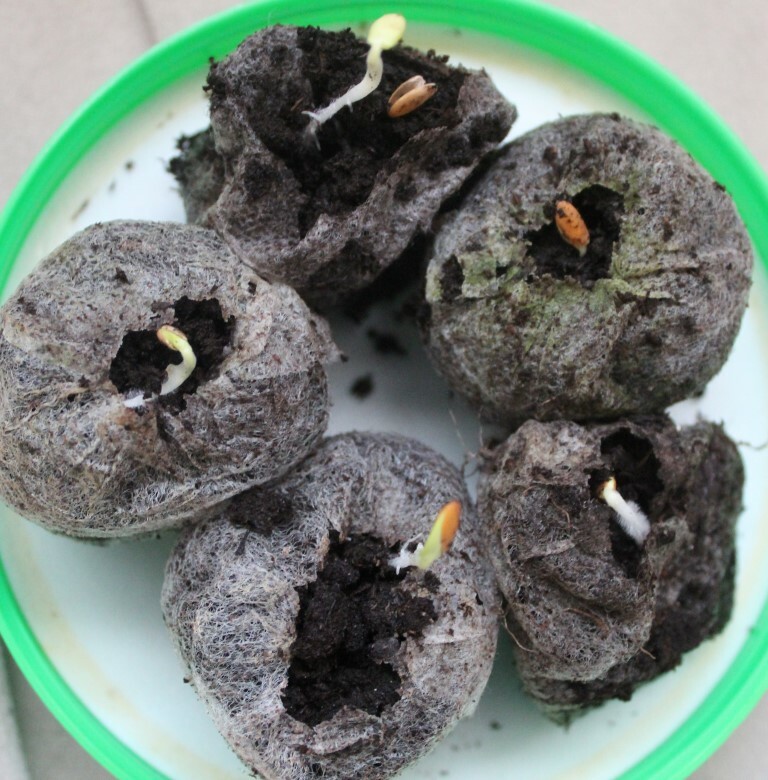 3.After seeds germinated, wait the seedlings turn green and place the container to warm, partial shade location or simply picking the sprouted seeds and planting them in individual pot with tweezers. I prefer to plant them in individual pot to save some work. I Keep the lid off just use clear plastic bag – place the container in a clear plastic bag and tie the opening, make sure seedlings have room to grow. Partial shade location. 3.種子發芽後,等小苗轉綠後將苗盆移到溫暖有半日照的地方. 或者像我一樣較懶的方法是將剛發芽的種子一一用鑷子小心揀出,個別種在小盆裡/泥炭餅,這樣省移一次. 小苗可以將苗盆放入透明塑膠袋上面封口如此包覆著藉以保濕. 要預留小苗向上生長的空間. 半日照. 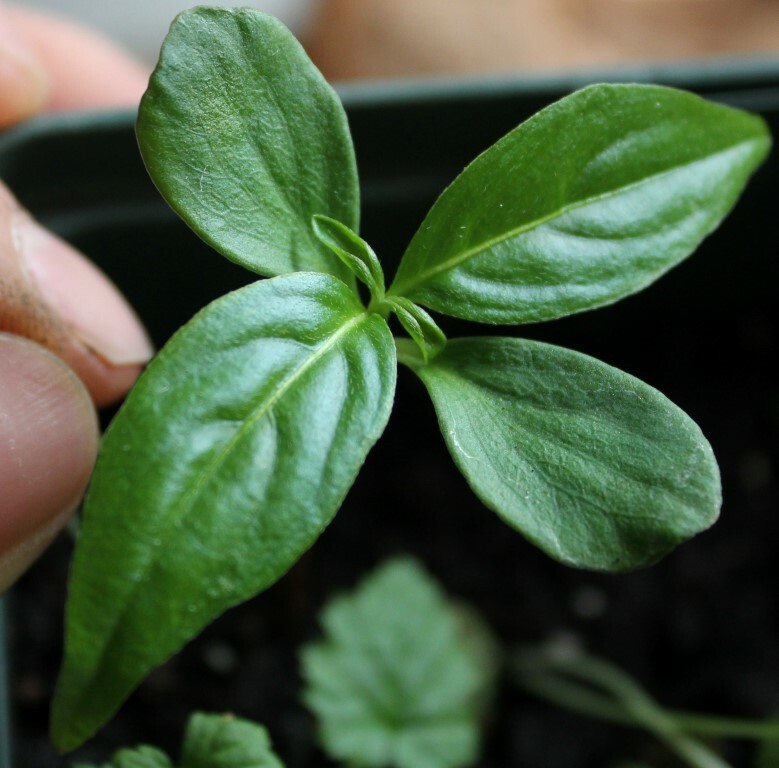 4.Seedlings grow faster and faster once they are in individual pot in warm and bright partial shade location. When seedlings is one foot high or root come out from the pot, it is the time to grow them in bigger pot or the best to grow in the ground. Add support for plants to cling on. Apply fertilizer. Full sun. 4.移植成一株一盆的這階段的小苗在溫暖明亮處會生長的越來越快. 小苗大約有一呎高時可以地植或用更大的花盆來栽種. 架設可攀爬的攀架或繩索令其攀爬. 可以開始施肥. 改成全日照. Korean melon day 5, turning green. The Korean melon (Cucumis melo L. var. makuwa) or chamoe (참외) http://en.wikipedia.org/wiki/Korean_melon is very easy and fast to grow. 韓國香瓜花及果實請見維基百科: http://en.wikipedia.org/wiki/Korean_melon 這真的很容易種植且生長非常快速! 1.Get the fresh viable seed wash clean and soak in warm water over night. 1.將新鮮種子清洗後泡溫水一晚. 2.Plant the seeds in the pot on top of potting soil with clear plastic bag cover the pot to keep seeds moist. Place the pot somewhere warm. The 2nd or 3rd day will sprout. 2.種子撈出後種於苗盆土表,不必覆土. 用透明塑膠袋或夾鍊袋將苗盆包起以保持濕度,放在溫暖處等發芽. 大約第2或第3天就會發芽. 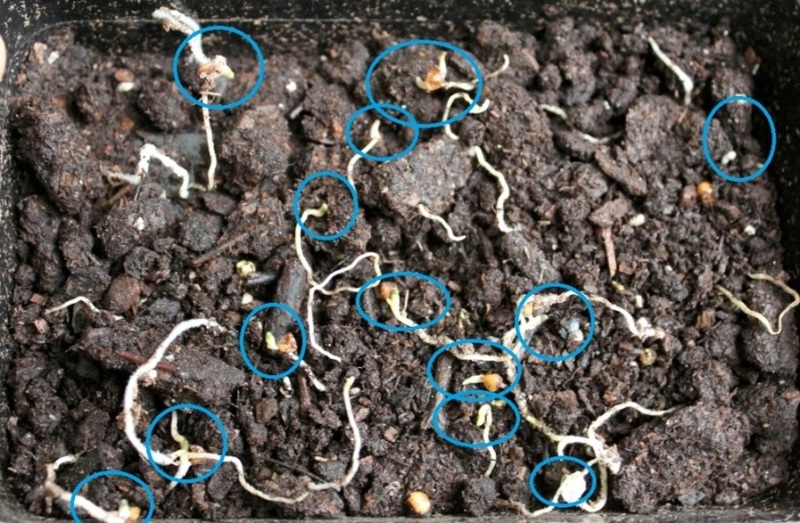 3.After seeds germinated, move the pot to warm with some light, seedlings will soon turn green. Partial shade if possible. 3.種子發芽後,移到半日照或散光處,小苗很外就會轉綠. 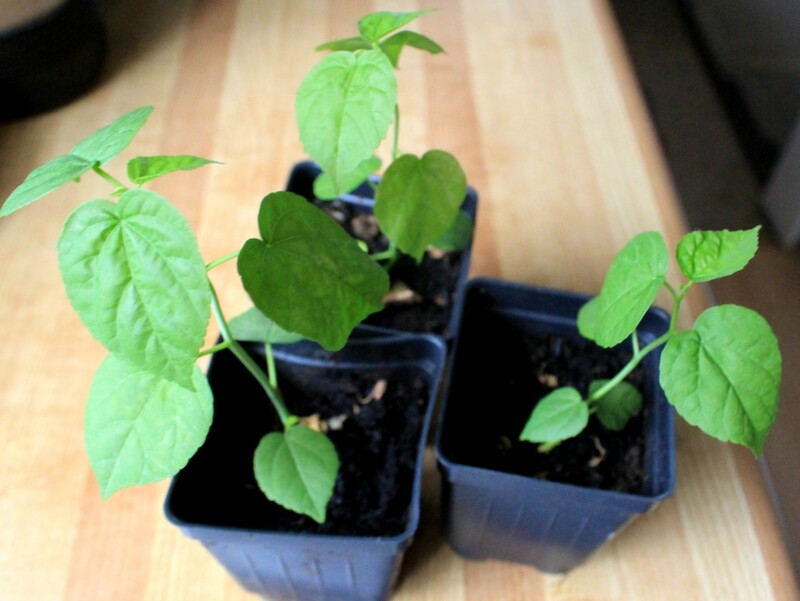 4.Transplant the seedlings when they have 4-6 leaves. Plant them 2 seedlings in the same big pot or the best in the ground! (Space them well if plant in the ground.) Apply organic fertilizer. Keep seedlings moist. Change to full sun location. 4.等小苗長到4-6片本葉就可以移植到大盆或最好地植. 種子很多的話,可以每2棵小苗種一起. 要間隔開種. 開始施有機肥. 注意小苗的保濕. 這階段開始要全日照. 5.Continue to apple fertilizer once in every two weeks. It is annual so soon 1.5-2 months will flower and then growing melons. When trailing vine branch out and grow too long, trim to shorten them to make sure better quality of melons. 5.每2週施肥一次. 這是一年生的瓜,大約1.5-2個月又會開花開始結瓜. 瓜藤蔓生分支太長的話可以修短些讓一藤不要生太多的瓜以保每個瓜的品質. It is a fun project to grow this! 🙂 When you are eating the melon, remember to remove the stem and the part close to the stem, that part is toxic but rest of the melon is delicious! 種這瓜是蠻有意思相當有成就感的! 🙂 食用此瓜時要去掉瓜蒂頭,瓜蒂有小毒會催吐. 瓜本身是外黃內白,甜而多汁,冰涼食用風味不錯! Garden Phlox flowers in summer. (Phlox paniculata) 多年生直立型叢生福祿考夏天的花. Garden Phlox seed pods and seeds. (Phlox paniculata) 多年生直立型叢生福祿考種莢與種子. 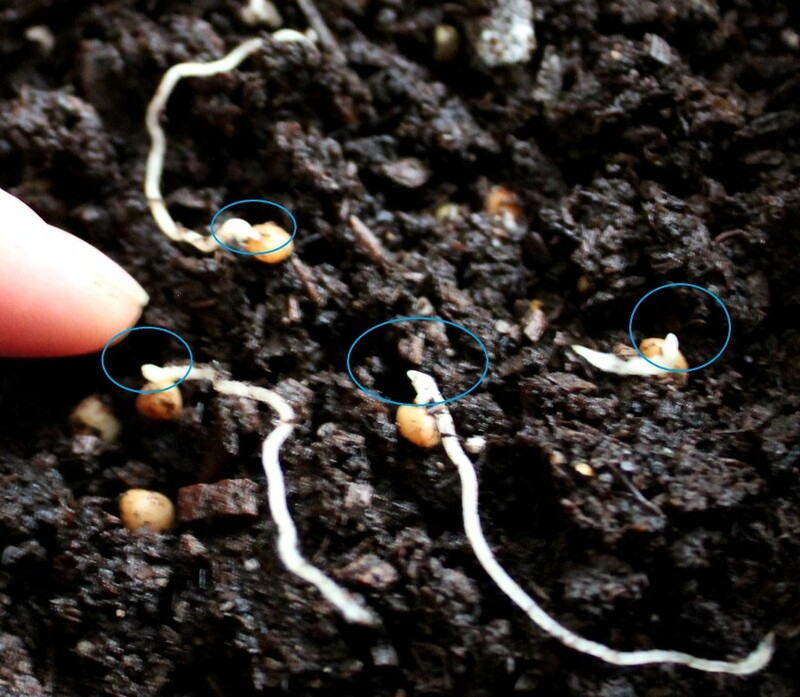 Garden Phlox seed germination. (Phlox paniculata) 多年生直立型叢生福祿考種子孵出. Best grow in fall/winter. The second best time to grow these from seeds is early spring. 1.Seeds soak in water for one day. 2.Fill a pot or container half depth with potting soil, wet the soil but not saggy. Place the pot or container in somewhere warm. Keep soil moist. 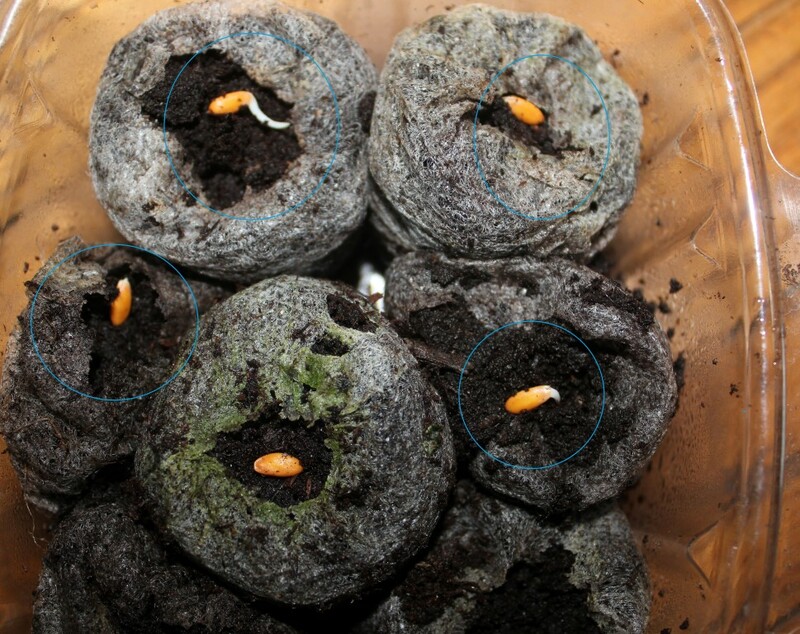 Seeds will germinate around 5-10 days according to the temperature. 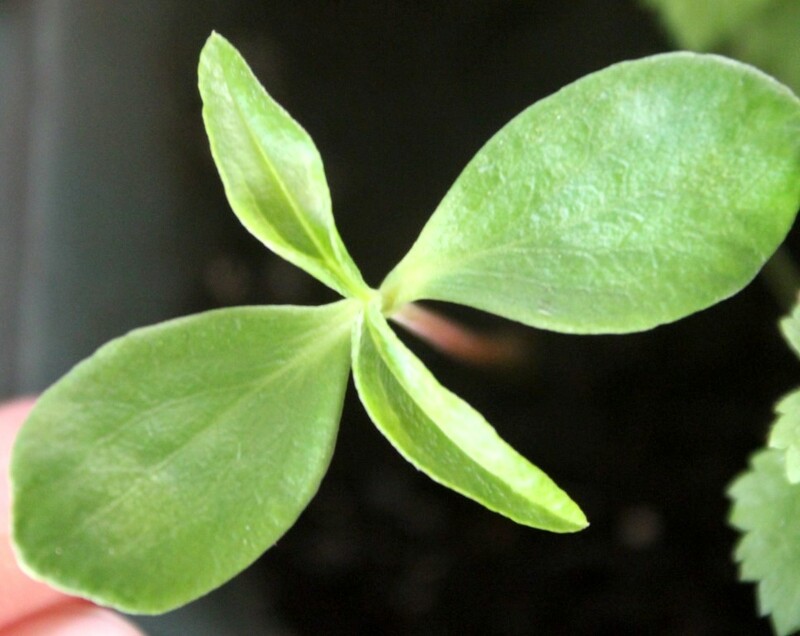 3.Change to full sun location once the seedlings have true leaves growing. Transplanting seedlings to bigger pot when they are 10-15 cm tall. Start to apply fertilizer. It will take 2-3 years from seed to flower. Older the plant more the stems to bare flowers. 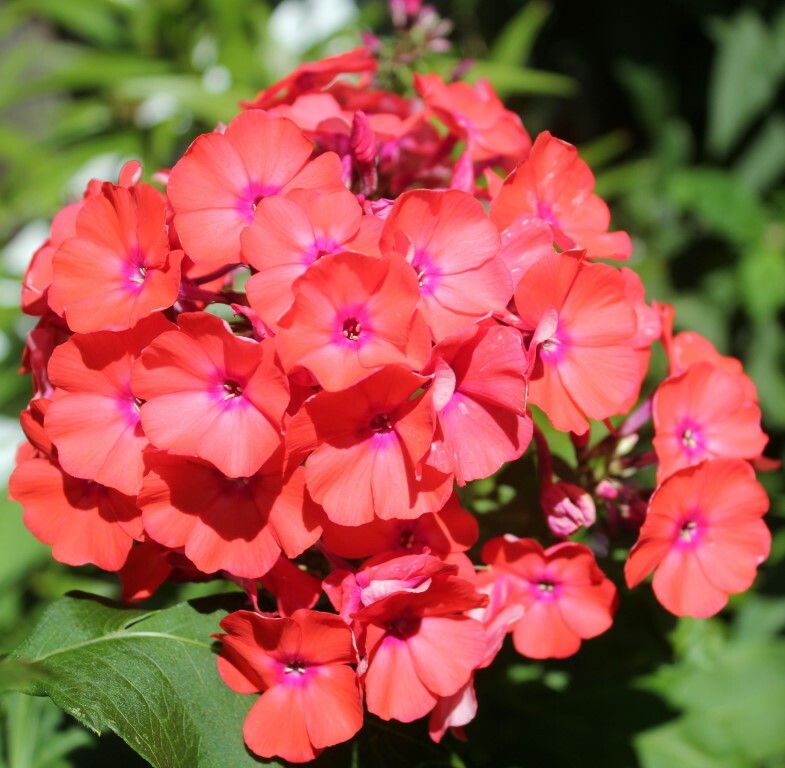 When plant has bigger clump, you can propagate garden phlox from dividing plant clump in early spring. Hibiscus seedlings after transplanting. 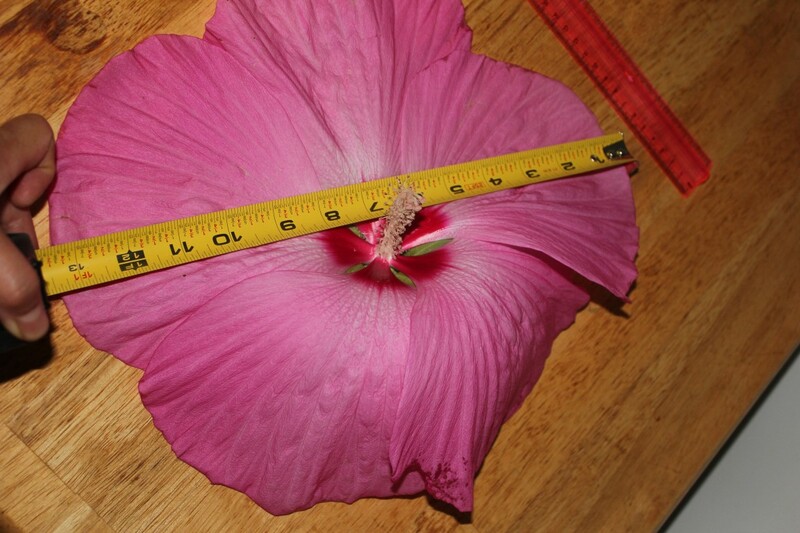 (Hibiscus) 移到個別小盆的大花扶桑實生小苗. 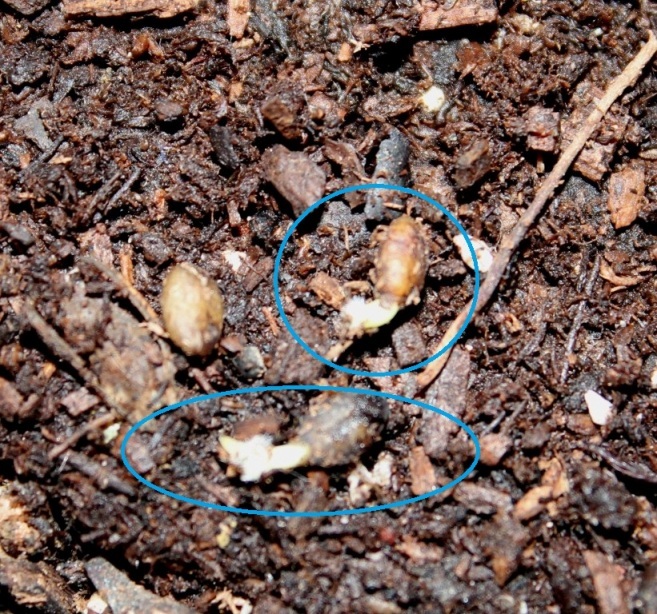 Hibiscus seeds germination in day 6. 大花扶桑種子發芽了,第6天的進度. 1. Direct sow — takes longer time, could be over a month. 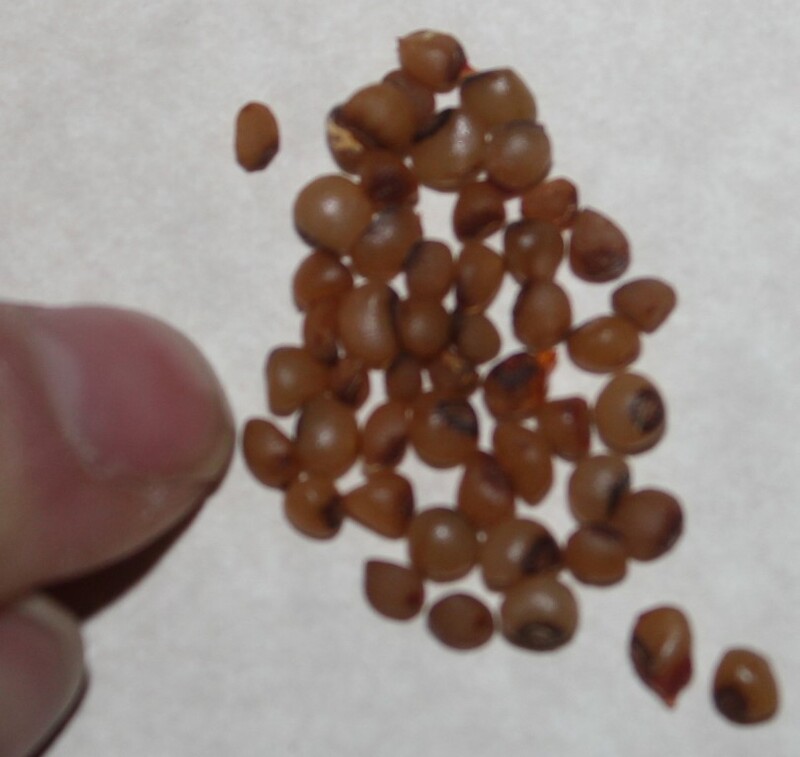 2.Use sandpaper or nail clipper file to sand the seed a bit then soak in warm water for one day. Prepare the pot with potting soil. Place the seeds on the top of the pot. If the humidity is low, cover the pot with plastic wrap and a rubber band to keep the moisture. Place the pot in warm, partial shade location. 3.Open to check once a day for air circulation. 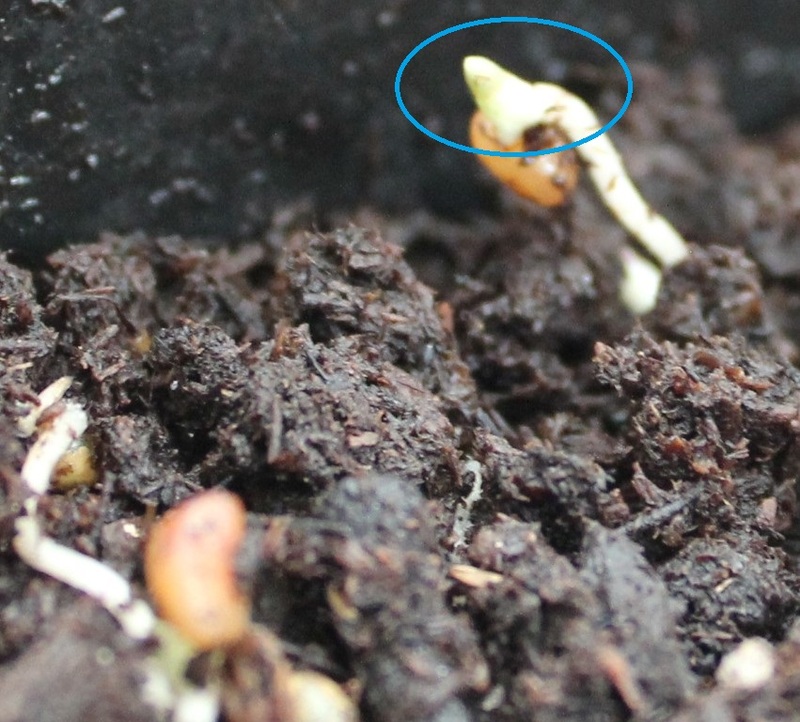 Seeds usually germinate around 7-10 days. 4.You may use tweezers to pick the sprouted seeds to plant in the small pot individually or wait seedlings grow bigger when they have 6 leaves to do so. Partial shade. Keep seedlings warm and moist. 5.When the seedlings root showing from the bottom of the small pot, it is the time to transplant them. Transplant the young plant to larger pot or plant in the ground somewhere is full sun with well drained soil. You may start to apply fertilizer to keep them growing fast.